Posted: Fri Jan 16, 2009 7:58 pm Post subject: what keyboards youse got? i was actually thinking about posting this before the 'what's jcyphe got?' thread, but now seems like a good time to follow that up. i know this is a guitar forum first and foremost, but i'm interested in what everyone has in addition to stringed instruments. i was a keyboard player for years before taking up the guitar, and spent a lot of my teenage years (and most of my student loans) buying them. 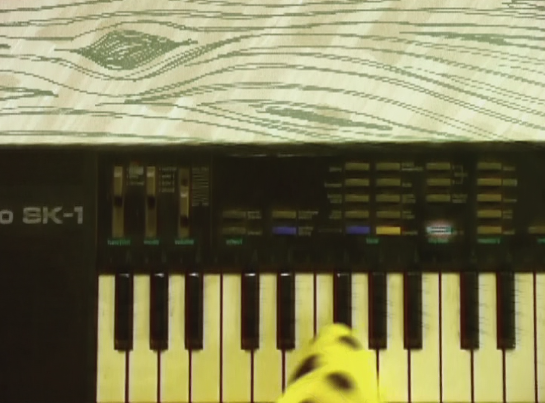 when i started the technology wasn't anywhere near as good as it is today, i mean, if you wanted a decent hammond, rhodes or wurlitzer sound you really had to buy the originals, whereas now i couldn't tell you the difference between the real thing and a nord electro (through a PA with my eyes shut, anyway). plus a MIDI controller keyboard and a couple of modules. if i ever buy another keyboard it'd probably be a second synth, but something small-ish. what key machines hide in shortscalers' metaphorical closets? 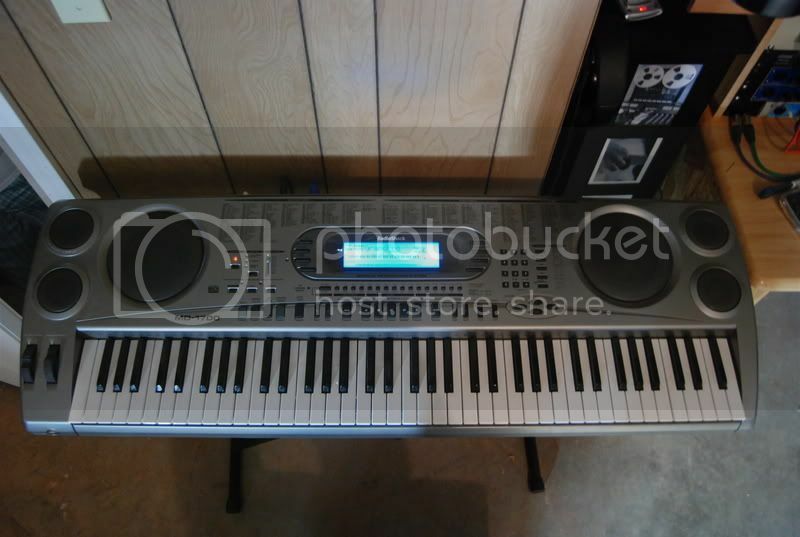 Alesis Micron + KP3 (i know the kp3 isnt a keyboard, but they are kind of joined at the hip). Also have a normal upright piano in the house, its not mine though. Just a family piano thing, its nice though. I had one of them Vox continentals, bought it off some old hippy muso in Falmouth Cornwall who said it belonged to the guy from the Specials. I sold it on to some Vox keyboard collector as i soon lost patience with learing the keyboard. Ours is holding together with duct tape. This thread is gonna be awesome. I presently don't have any Keyboards or Synths. 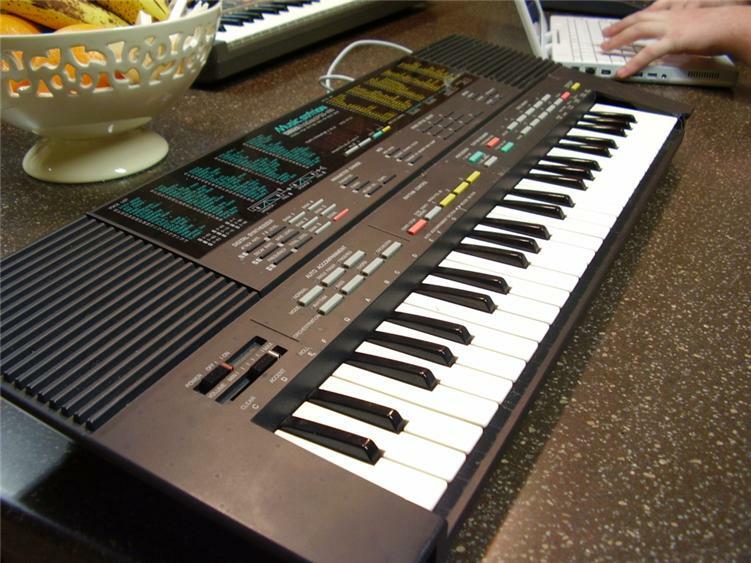 Growing up I always had Casio Keyboards and my aunt had one of those home organs with a spinning speaker. It was not a Hammond, I think it was a Wurlitzer. I love the cheesy sound of the Philicorda, you got some great stuff Stewart. could possibly be a lowry... i'm sure some of them had inbuilt rotating speakers, not sure if they were available in the US though. 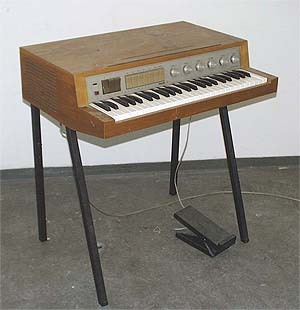 i think the only other organ i'd ever want to own (and i really want one) is a farfisa compact duo. the early pink floyd / country joe & the fish sounds just make me salivate. edit: i think it's spelt lowrey. it might not even be one of those though. I haven't got any photos up yet, but will get a few tomorrow. 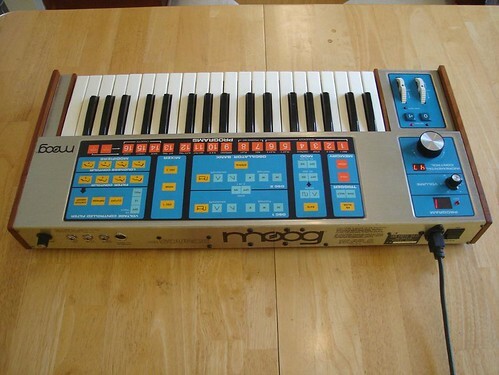 i have a moog prodigy that i got cheap a few years ago, has that mini moog sound, good for bass too. 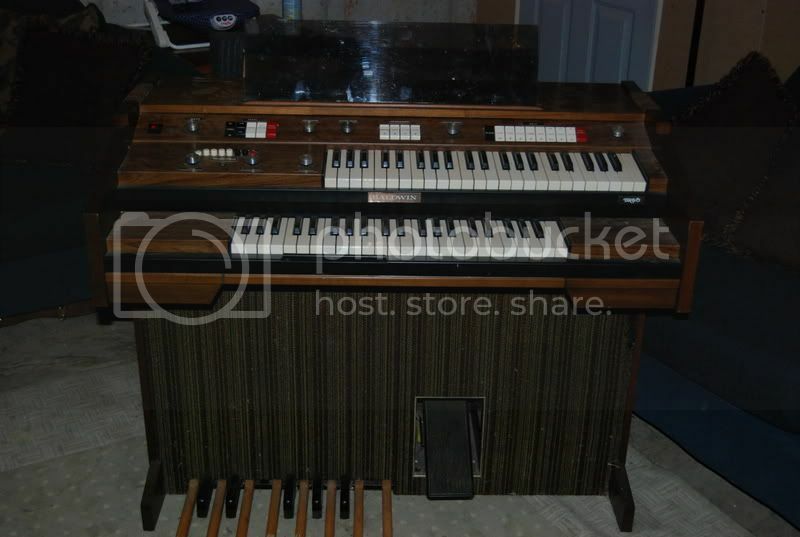 Hammond L122 with matching leslie, mainly as my forum name gives away, i love 70's progressive rock. Viscount B3 clone. it's digital and only one manual, but sounds pretty good. Oddly enough, I know for a fact that the Brothers Chap use one of them (or something very similar)- every now and then I hear noises from my childhood within Homestar toons. Most awesome. I'm in love with the korg DS-10 'cause everything I make with it sounds like it could in a home star runner toon, I love the music in that. Not quite sure why. Also the keyboard mage posted IS the keyboard keyboard strong bad's head is based on. I know wayyy to much about home star runner, seriously, it consumed my life for a long time. I have a Radio Shack version of a Casio Keyboard WK-133 or something like that I got from NICK. I use it midi to trigger samples in protools via sampletank and reason. got microkorg, and moog source. right now (like a lot of you) i'm pining for a little phatty. 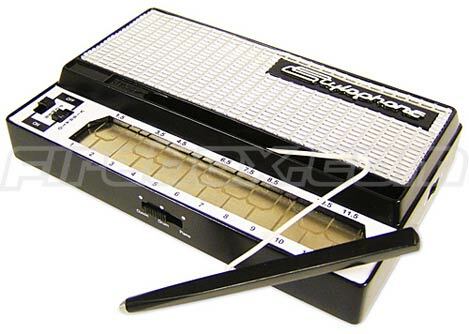 also have ye olde stylophone!